Cash for Homes Kansas: Is is Time to Sell Your Rental Property? 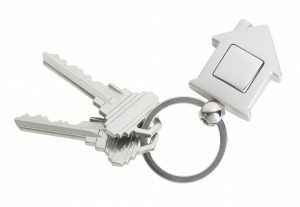 If you are a landlord, you know all too well that your livelihood depends on the success of your investment properties. Ideally, you want all of your rental homes are profitable and easy to manage. Unfortunately, this is not always the case, and if you have unwanted property for sale, Cash 4 Kansas Homes can help. We buy unwanted houses regardless of what condition they are in, and if your rental property has become more of a burden than a blessing, we will pay you cash to get it off your hands. Call our team of home buyers today at 913-276-0769 to get started! In today’s article, we will explore four sets of circumstances that can cause landlords to sell their investments and how you can go about quickly ridding yourself of a troublesome property. Read on to learn more! As someone who makes a living on property investments, you want to do everything you can to ensure that your rental homes are appreciating over time. The real estate market can be unpredictable, and home values can rise and fall by thousands in short periods of time. 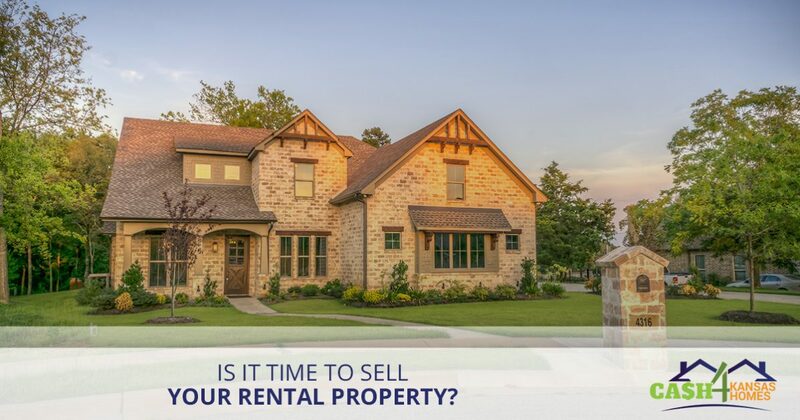 If the market has made a sudden turn in your favor and your rental property is worth more now than it was when you bought it, you may stand to profit more by selling the home than continuing to rent it. While some landlords find themselves in the prosperous position of having a property that is increasing in value, others find themselves in the unfortunate situation of having an investment that is no longer profitable. In order to ensure you maintain a healthy rental portfolio, it may be necessary to sell those properties that no longer produce a positive cash flow. Selling unprofitable rentals allows you to invest in more profitable houses, ensuring your portfolio is working hard for your success. The task of buying, maintaining, and managing a rental property is not for the faint of heart. For some, being a landlord, property manager, or another type of property investor becomes more of a burden than it is worth. Between the responsibility of after-hours emergency calls and troublesome tenants, many decide to call it quits so that they can pursue other business ventures. If you have unwanted property for sale in the Olathe area, Cash 4 Kansas Homes is ready to make you a fair cash offer to rid yourself of the burdensome home! Being a landlord isn’t always all it is chalked up to be. When your rental property suffers some kind of damage, you are responsible for the repairs. Whether the damage was caused by a plumbing leak, tenant vandalism, or bad weather, forking over a lot of money for repairs can be detrimental to your bottom line. Landlords are held to a high standard of providing safe and proper living spaces for tenants, and if the cost of repairs is more than you can afford, it may be beneficial to sell the home to another property investor. Call us to request an assessment of your unwanted rental property. We consider the condition of the home and compare it to others in the area. We make you a cash offer for your home that is fair and well-researched. Upon acceptance of our offer, we open escrow with a title company and can close in as little as 14 days. It doesn’t get any faster or easier than that to get rid of your unwanted property for sale! We Buy Unwanted Houses in Olathe! Are you a landlord in Olathe who needs to sell an unprofitable or damaged rental property? Contact the experts at Cash 4 Kansas Homes today to take the first step in building a successful rental portfolio. Request your cash offer today!